The belly button healing process takes time. To hasten the process, it is necessary that you are consistent in the aftercare. This will facilitate smooth transition within the healing stages. Aftercare is also one of the ways on how to heal an infected piercing. We get into the details of these as well as how to rid the piercing off itch, pussing and swelling. Although these piercings look great, the belly button healing process takes a long time. Within this duration, it is possible to experience to experience a lot of events that could delay healing. To make sure that the belly button piercing healing is smooth, you need to pay attention to the aftercare procedures. Keep the piercing clean and avoid any trauma being exerted on it. The only time the new piercing should be handled is when cleaning it. Refrain from playing around with it, scratching or poking it if you want it to stay healthy. This will avoid exerting trauma on it. In case you feel like looking at it use a mirror. Before touching the piercing while cleaning it, ensure that your hands are clean. You can use a sanitizer to be certain. To prevent the area from getting chaffed by your skirts, dresses, pants, shorts and clothes in general, wear them loose. Avoid those with waistbands that run across the belly button and opt for those cut to be worn low. Loose clothes will also ensure that the wound breathes which is essential for its healing process. Also to be avoided are water bodies and tubs. This means that it will take time before swimming after you have had a belly button piercing. There is no timeline for this since the healing durations for each individual vary. In case you are wondering how long to swim with a new piercing forget that for a while. Only go back to swimming after the piercing has healed to avoid infections. Once you are completely healed you can take as long as you want and there will be no adverse effects. Since the belly button does not heal fast, you will need to be patient enough and give it the necessary time for it to heal. While getting pierced, talk to your piercer on what to expect day by day so you can watch out for red flags indicating infections, migration and rejection. Once it has healed, you can change your jewelry and change to different designs, colors and patterns as much as you can. Remember to wash the piercing after removal of the jewelry. Also sterilize the rings before putting them in and after taking out. In some instances, you may be faced by circumstances that force you to remove your belly button piercing ring. Before doing so, be certain that this is what you want. In case you are not sure, you can first settle for retainer jewelry before completely making up your mind. If in the end you decide to get rid of the piercing, you may be wondering how long does it take for a belly button piercing to heal after taking it out? There is no specific timeline for the healing and closure of the piercing. This is determined by the skins’ healing ability and what stage of healing it was at during removal. While for some it may take a few days to close up and a few more to toughen and heal completely, for others it may take months. Once the healing is over, the area gets covered with scar tissue. The belly button piercing healing process takes between six and twelve months. How fast your piercing heals depends on how well taken care of it is. Appropriate after care will result in fast and effective healing. Since the piercing is done within, knowing the stages involved in the healing process can . With piercings, healing occurs from the outside in. This means that once you get your belly button piercing, new skin cells will form around the outside of the pierced hole. These cells then travel down the tunnel formed by the piercing until it all gets covered. The signs of a healed piercing include the absence of redness, soreness and lymph and the replacement of these with a smooth doughnut shaped hole on the rim. To get to this, the piercing undergoes the following stages of healing. This is the initial stage of the healing process. This phase tends to be a short one and the piercee is advised to be very careful when handling the piercing. You should allow the piercing to heal on itself and your responsibility is to just keep it clean to help speed up the process. Here, the piercing is is an open wound that is red, tender and itchy. It is also possible for it to swell and there could be production of a mild white discharge. The area will also form a protective scab and the skin underneath may appear lighter in color than the surrounding. Since at this point the wound is still fresh, expect some pain as well. While these same signs are normally associated with infections, they are part of the natural healing process and normal in the days following the piercing. However, with time the symptoms should reduce. In case the pain, discharge and redness increase, this could indicate an infection. During this stage, you should be thorough with the aftercare procedures. Use a mild soap to wash the area once in a day and soak it in a saline solution twice each day. Avoid playing with the piercing and let the initial ring stay intact. Prevent the piercing from exposure to dirt and sweat. Wear loose fitting clothes as tight ones could get stuck and aggravate the piercing wound. This is the secondary healing stage and marks the second phase of the belly button piercing healing stages. Like seen elsewhere in this post in our stages pictures, the healing process gets underway. The body produces new cells and proteins to replace the damaged cells. The scab that had formed earlier on will fall and new skin will form. The skin starts feeling tender and gains thickness with time as the edges heal completely. In this second stage, you should continue with the regular aftercare and ensure the wound is cleaned regularly. By the end of this phase, the piercing is considered almost healed. In this final stage of the healing process, the skin around the piercing heals. It gains all the features of a normal skin as you can see in the stages photos. This is made possible by the production of cells around the piercing which help to strengthen it. During the healing process, as much as the piercing is kept clean, it should also be kept dry. Use paper towels instead of cloth since the later comes with the risk of transferring bacteria which cause infections. Avoid swimming as well as pools and water bodies contain microorganisms that could cause infections. Like seen earlier on, the piercing can take up to a year to heal. To speed up the process, there are a few things you can do. These are as listed below. In case your clothes keep chaffing the area, cover the area with gauze and tape during the day and remove it at night so the piercing can breathe. If when you sit down your stomach folds and you are likely to feel a pinch after the piercing, opt for curved barbells as your initial jewelry. These will help prevent you from discomfort, scars and constant swelling which are associated with trauma on piercing. These prolong the healing process. Be patient with the piercing. Belly button piercings do not heal fast like some you may have had. Be consistent with the aftercare for quick healing. In case the healing process does not seem to progress, talk to your doctor so the area can be checked. Do the same if you experience swelling, pain, redness past the initial stage and for extended duration of time. During this healing process, it is important that you retain the initial jewelry. You can consult your piercer and enquire if you can use tea tree oil or lavender oil to hasten the healing process. Let them show you how to use the oils appropriately. When the piercing is healing, it is accompanied by signs such as swelling, redness and a discharge. Where the discharge is too much, it will form crusts around the jewelry. This is normal and as long as there is nothing out of the ordinary it means that the healing process is progressing on well. With this being the case, how do you know when your belly piercing is healed? The absence of the healing symptoms mentioned above can be taken to mean that the piercing is healed. Among some of the signs of a healed belly button piercing include the skin around the piercing ceasing to be red or pink and becoming uniform with the surrounding skin. The absence of swelling can also be a sign that the piercing is healed. In most cases, this can be noted by the ring tending to look bigger that it initially was as the piercer always gives room for swelling when inserting the jewelry. 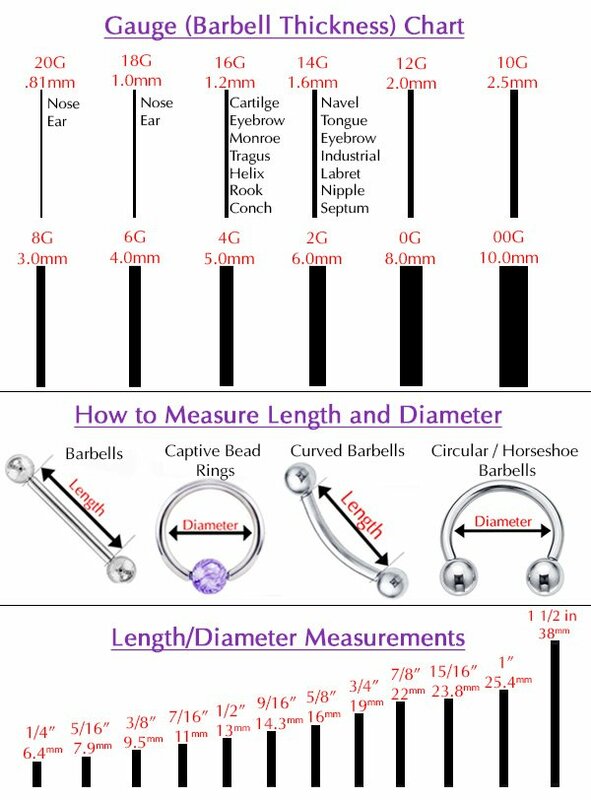 In case you wish to change your initial jewelry and are not certain if you have healed, get checked by your piercer to be certain. By looking at a picture, you can tell what stage of healing it is in. We picked a number of pictures two further illustrate the three stages of the healing process. Stage One: As is evident in this picture of a fresh belly button piercing, the area is swollen and red. At this point, the piercing is simply a fresh wound. Stage Two: In this image, the swelling has subsided. The skin also starts becoming normal with only the edges exhibiting some redness. Stage Three: In this stage, the piercing is healed. The piercing attains the same skin color as the surrounding. Belly button piercings come with a great look. They however can be too much trouble if not well looked after. Itchy belly button piercing is a common occurrence. This is more so when the piercing is new since the area has to heal. Itching in most cases results from irritation and swelling. In other instances, there could also be a discharge which makes the area crusty. These are most common in new piercings. Bellybutton piercing itching could also be experienced in old piercings after years of having it. During pregnancy, some women complain of ring itches and redness around the piercing. This could be as a result of increased sensitivity in the skin. To help get rid of it, you need to take proper care of the piercing to alleviate the itch. Avoid as much as you can scratching the area as this could delay the ring healing or cause bleeding which is bad for the piercing. With old piercings, the itch could be caused by the jewelry. Some metals can irritate the skin. You could also be allergic to material it is made from. If you changed jewelry recently and started itching, consider switching to non-toxic metals. Settle for high quality hypoallergenic jewelry to avoid the irritation of low grade metals. Another cause for itch could be too much rubbing by your clothing. Wearing too tight clothes also denies the piercing aeration and could result to irritation and itch. Wear loose fitting clothes during the healing process to avoid this. Also to be watched are the cleansing materials you are using. Harsh solutions and the use of alcohol can irritate the piercing. Also avoid over cleaning it as this causes it to become too dry. This will lead to further itching. Be certain to keep the piercing moisturized and clean. While mild itching may be normal especially in new piercings, if it becomes unbearable it is time to see a doctor. The same applies if the itch is accompanied by formation of rashes or bleeding. Make a point of seeing the doctor as if there is an infection it will need to be treated immediately. One common symptom of a belly button piercing infection is persistent sharp pain. This may be accompanied by the piercing getting sore swelling, itching, redness and formation of pus. An abscess could also form around the piercing. When these symptoms manifest, do not tamper with the jewelry. It is recommended that you heal the infection without taking it out because when you remove it, the piercing will close and trap in the infection. To allow drainage and facilitate healing, allow the ring to stay in. Just as cleaning the piercing is essential in the healing process, the same applies to clearing an infection. It is recommended that you clean the infected piercing twice each day to cure it. No more no less. While cleaning, use sea salt solution and avoid hydrogen peroxide and alcohol as these tend to delay the healing process. Before handling the piercing, ensure your hands are clean then use cotton swabs soaked in the solution to wipe the area gently. Finish up by patting the area dry using paper towels. Once the area has been cleaned, you can place a warm compress on it. This will help in draining the pus and reduce swelling fast. You can soak a sterile wash cloth in a saline solution, warm it and place it on the piercing. Dry the area after this. In case these do not help the infection to get better, and in case it is accompanied by a nauseating feeling and or fever, see your doctor immediately. At some point, some piercees will complain that their belly button piercings smell like fish. In most cases, piercings smell because of bacteria. While this may at times lead to infections, bad smell are not always indicative of infections. The belly button is located in an area that is easy to gather sweat and remain wet and dark. This provides an excellent environment for bacteria. In case of too much sweating, an old piercing will smell. It is also easy for micro-organisms to gather around the hole thus the smell. This is caused by increased perspiration resulting from friction and lack of aeration on the area. Once you have had your piercing, the piercing may with time start oozing white stuff that crusts around the jewelry. This is normal and the crusts formed from it help to prevent infection. Do not remove them with bare hands as this could irritate the wound. Wait until it is time to clean it so you can use cotton swabs. Old piercings if squeezed can also discharge a clear liquid. This should be no cause for alarm. Other than this, it is also possible for an infected piercing to discharge pus. This may be in the form of a thick foul smelling green, brown or yellow discharge. When there is trauma on the healing wound, it is also possible for blood to ooze. These forms of discharge should not be taken lightly. If noticed, have your piercing checked immediately. When the belly button piercing is in the healing process, it is possible for it to start pussing a little. This could be normal in the initial days of the piercing. You will notice a clear or slightly yellowish discharge which may form crusts around the jewelry. Swelling, reddening and bleeding slightly are also normal in the first days. These though should subside with time and should be minimal after two months.Past the initial stage of the healing process, the presence of pus on the piercing may indicate an infection. White pus is produced when the infection is minor. Continued use of saline soaks can clear it. In case the pus is green or yellow, the infection is severe and you should have the piercing checked. am гeally impressed to read aall at one place.